Home / Blogging / Digital Marketing / 5 Killer Tips for an efficient small business web design! 5 Killer Tips for an efficient small business web design! A website is a prerequisite for all businesses, irrespective of size and industry. However, most small businesses might not feel much comfortable when it comes to website handling, given a lack of technical expertise. Nonetheless, going with efficient web design solutions can surely help all businesses take a head-start into the digital industry and expand into new horizons. 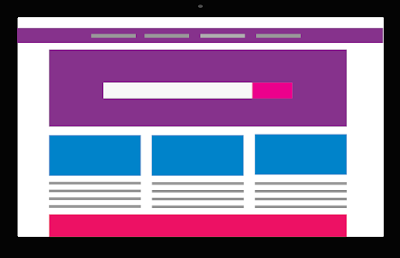 Remember, when you are designing your small business website, there is no need to inundate the design with everything that pops in your mind. Remember, too much information or a large number of choices backfire big way as they tend to cease the decision-making capabilities of visitors and they prefer switching to another site. Thereby, the best and most efficient web design solution for small businesses is to go with a minimalist design and keep a good balance between elements, information and “White Spaces” for pleasant viewing. A minimalist design coupled with a structured sitemap, relevant keywords, standard URLs and engaging content are a few important things that will help you create a search engine friendly website. Remember, your target audience won’t know your address and the only way they can discover your business website is when you rank higher on the search engine (Google being the most important search engine). So, while you are looking for effective web design solutions, make sure you incorporate the best SEO practices at an early development phase to gain better ranking. Just in case you didn’t know, the world has already moved to mobile devices. The number of people looking for the desired products/services on mobile devices has surpassed traditional desktop searches. Thereby, as a small business website owner, you can’t just ignore the mobile users and subsequently need a responsive and mobile friendly website that adjusts to various mobile platforms including mobiles, tablets, laptops etc. The digital economy is all about gathering relevant customers’ data and reach them back with relevant offers/products/services. Most of the visitors prefer to search through different websites before committing to a purchase. As a small business website owner, you can seek subscriptions from visitors to your site, so as to reach them at a later stage even when they don’t make the purchase in the first time. Word of Caution: Don’t overdo it or don’t compel visitors for subscription else you will lose market reputation and might just end up on blocked list for users. As a small business, your physical presence on the ground can be your best and most potent leverage to compete with large businesses. A great approach in this regard is to ensure listing multiple communication channels (clearly visible) at various places over your website. Encourage visitors to contact you and give them spoon feeding on everything they want to know about; as a mean to build reputation and connection with customers. Taimoor Khan is a digital marketer and SEO specialist at Digital Gravity, An Abu Dhabi based business offering efficient and affordable web design solutions. He has his Masters in Marketing from Iqra University and has a career that spans over a decade in digital marketing. He loves to write about tech shaping e-commerce industry.